For Robert Leslie, graphic design was social media. Robert “Doc” Leslie parlayed his knowledge of publishing and advertising into a lucrative business when he took the composing room out of the publishing house. 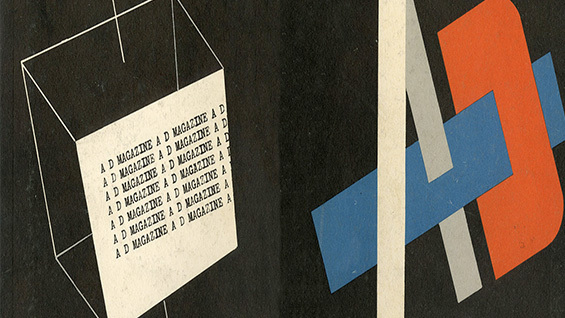 The “Composing Room, Inc.,” formed with Sol Cantor in 1927, drew in customers like the McGraw Hill publishing, Century Magazine, and other prominent print publishers. Doc Leslie promoted the best and the brightest design talent through trade publications PM magazine and A-D Gallery where he encouraged graphic artists to explore new media and expand their repertoire. Through the Composing Room Gallery and Gallery 303, Doc Leslie brought talented artists together with the customers at exhibitions and a very popular lecture series. Come hear Doc Leslie recount a lifetime’s worth of experiences in graphic design for publishing and advertising in his 1995 interview with Jake Chernofsky, publisher of AB Bookman’s Weekly, from the archives of the Grolier Club. And we’ll also look at the 20th century graphic artists and their works that influenced, and that continue to influence, the generations who came after from the archives of the New York Public Library and the Lubalin Center, Cooper Union. Get tickets here. A graduate of William Smith College (B.A. ‘78) and Columbia University (M.S. ’81) Virginia Bartow is the Sr. Rare Book Cataloger at the New York Public Library. Having worked in the libraries of Cornell University, Columbia University, U. of Illinois Chicago, Dartmouth College, and the New York Public Library she has had the opportunity to work with books from the 10th century to the present. Her interests include bibliographical research and the history of the book and printing. She is a member of the Rare Books and Manuscripts Section of the American Library Association, on the Committee on Fine Printing and the Exhibitions Committee at the Grolier Club, the current Secretary of the American Printing History Association, and Vice-president of the Typophiles.